The F44 is a fully weatherproof, easy to use manual ground balance detector. It has superfast retune speed with excellent target separation and easy to use Discrimination, Sensitivity, Notch and Pinpoint features. Fe-Tone® adjustable iron audio allows you to set the volume of ferrous targets lower than the volume of non-ferrous targets for increased clarity on desirable targets. 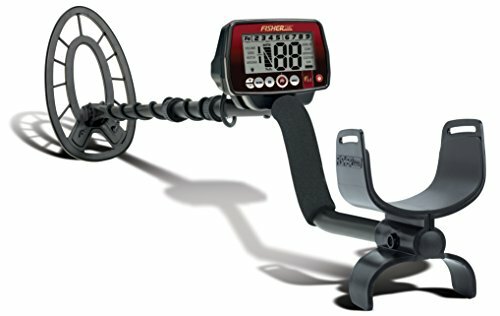 GROUND-GRAB® Computerized Ground Balancing and Manual Ground Balance make it easy to tune the F44 to the soil you are hunting in. Easily identify buried targets with the 9-Segment Target Categories and a 0-99 numeric Target-ID enhanced with 4-Tone Audo-ID System. Custom made allow users to set their own tones. Rain or shine the F44 excels when most detectors can’t! If you have any questions about this product by Fisher, contact us by completing and submitting the form below. If you are looking for a specif part number, please include it with your message.